Dramas had been one of many type of entertainment that allow viewers to go through along with the story a bit more details compared to yonghwa (movies/film in Korean language). Still, the impact is just as similar as movies or films. Dramas usually ranges from romance, comedy, humanity, school, and it also usually combine two to three of these elements. For this post, i would like to share three dramas, in which comes from the same origin, but had been interpreted as well as influenced by the production geographical factors, such as language, culture and etc. 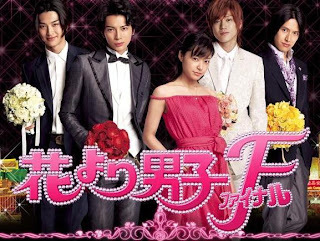 Meteor Garden (Taiwan version), Hana Yori Dango (Japanese Version) and Boys Before Flower/Boys Over Flower (Korean Version) all share the same storyline where a group of spoiled youngsters form a group called 'F4' and they were the one that 'controls' their educational institute (most of them are still students, only on different levels) with their money and influence. Again this is just the introduction of on how should we understand dramas as part of art. 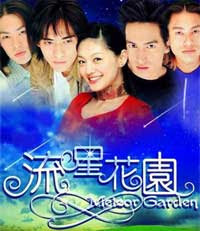 p/s: Just a note, some individuals concluded that among these three, 'Meteor Garden', was the closest interpretation (the storyline) to the original manga, while 'Hana Yori Dango' have their characters' personality as close as the characters in the original manga and that 'Boys Before/Over Flowers' have the most good looking 'F4' compared to others. "My ink is black, don't ask me to paint the rainbow,"